India is the second largest country in the continent of Asia and the seventh largest in the entire world. The total area covered by the nation is 32, 87, 263 KM squared, with a longitude of 82.5 degrees East. With a country of this magnitude, many would deem it unusual for India to follow a single time zone. The standard time zone within the borders of the country corresponds to a two-hour difference between the far East and West. This means that the sun can rise as early as 4 am in the Eastern state of Arunachal Pradesh, and set as early as 4 pm, in comparison to the Rann of Kutch in the West. The running of Indian Standard Time (IST) was first introduced after the country’s period of independence, from 1955 onwards. It is similar to the procedure which runs in India’s neighbouring country of China. The American equivalent to this rule would be the states of New York and Utah sharing one time zone. Scholars have argued that IST has numerous negative effects on its citizens. This includes; a loss in productivity and a loss in energy as electrical lights are turned on earlier in the day. It also means a loss of shut-eye, as the levels of the sleep hormone melatonin rise as soon as the sun sets, and decrease when the sun rises, thus setting up our regular body clocks. In a recent research project, economist Maulik Jagnani of Cornell University stated sunset induced loss of sleep results in under privileged children having the quality of their education reduced. He supported this with the fact that the school day begins at roughly the same time all across India, however children go to bed at a later time and have less sleep within areas where the sun sets first. An hour’s delay in sunset time lessens children’s sleep by 30 minutes. “This might be because sleep environments among poor households are associated with noise, heat, mosquitoes, overcrowding, and overall uncomfortable physical conditions. The poor may lack the financial resources to invest in sleep-inducing goods like window shades, separate rooms, indoor beds and adjust their sleep schedules,” said Mr Jagnani. Statistics from the India Time Survey and the national Demographic and Health Survey have underlined the fact that school-enrolled children used to later sunsets receive fewer years of education. They are also less likely to complete primary and secondary school. Time zones were previously established during the period of Colonial rule in India, under the British Empire. Time zones were utilised under Bombay Time and Calcutta Time, as these were two important commercial capitals prior to Indian independence. Additionally, Mardas time, introduced by astronomer Goldingham in 1802, was used by many railway companies. The government of Assam in India, which is an important tea-growing district, want to introduce a separate time zone across the state and within other regions of North-East India. This is due to the loss in production the late rising of the sun inflicts on the farming industry. 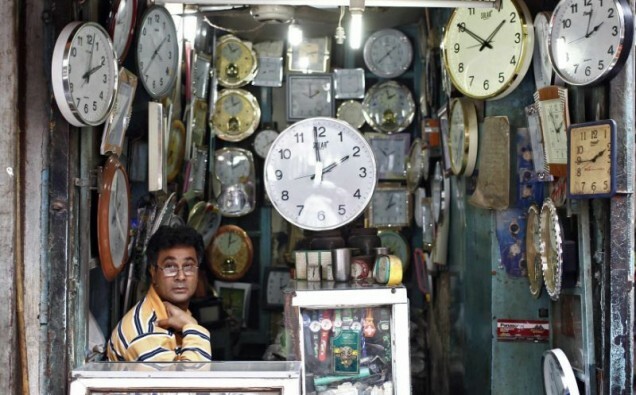 A campaign was set-up in 2014 but is yet to be completed, and India’s national government still remains unconflicted on implementing a standard time zone across all of its states.